USE THE SEARCH MENU BELOW TO FIND BUSINESSES OR PRODUCTS TO FIT YOUR WELLNESS NEEDS. Please rotate your phone to landscape mode. CLEAR YOUR ENERGY * FIND YOUR POWER! Rainbow Rae is the artisan and owner of Circulate Energy. She is an Orgone artist and metaphysical healer who creates powerful Orgone energy batteries and talismans. For more info about the services she offers, check out her listing on the Service Directory. Her Orgone energy batteries and talismans are functional art sculptures known as Orgone batteries or Orgone generators. These devices are a matrix of organic and inorganic materials. The encapsulation of the crystals creates piezoelectricity – which are scalar waves – energy faster than the speed of light. These art sculptures are pleasing to the eyes, soothe the soul, and circulates powerful energy around your auric field & environment. They can be used for healing, protection, or assist intention manifestation. The uses are endless and is only limited by your own imagination. No two devices are alike since every piece is made layer by layer by Rainbow. Rainbow Rae is an Orgone artist, metaphysical healer, and Starseed Steward of Gaia. She specializes in clearing and transmuting disharmonious energies from the human bio-field, Gaia’s matrix, and personal spaces. Her journey began with a simple amethyst and spiraled her into learning many modalities in order for her to begin the path of re-membering. With over 10 years as a professional creative, she has learned to utilize these energies to help others rise and find their personal power. My hope is to share this knowledge with the world and co-create with every one of you. To purchase Circulate Energy’s talismans, click here. To learn about the services that Rainbow Rae offers, visit Circulate Energy’s Service Directory listing. Patricia Fitzgerald is a Mandala Artist based in Dublin, Ireland. Her work is created intuitively, working with the energies of the person she is creating for or with the energies being channeled at any given time. She also often works with Sacred Geometry as a base; then incorporates the energies within that geometry. Patricia’s work is aesthetically very beautiful and is also an extraordinarily powerful meditation tool, aiding in the expansion of consciousness. Both her original work and limited edition prints are available to be shipped to around the world from Ireland. From the classical Indian language of Sanskrit, the word Mandala can be loosely translated to mean circle. But the Mandala is far more than just a simple shape. It embodies wholeness, representing the structure of life itself, a cosmic diagram that shows us our relatedness to the infinite, that which extends both beyond and within our bodies and minds. The Mandala can be seen as a container for essence, energy or spirit. A journey into the self and to the connectedness with all that is. The drawing of Mandalas as well as being an artistic practice is a meditative and spiritual exercise, bringing much peace and a sense of wellbeing. Mandalas are amazing tools for deepening the meditation experience and expanding consciousness. Choose a mandala that you feel drawn to. Sitting comfortably with your back straight with the mandala approximately an arms length away, gently gaze at the mandala, allowing your focus to relax so that the image gradually blurs. For about 5 minutes or longer, meditate on the centre of the mandala allowing its geometry to bring your mind into a state of balance. This is the space where the ego self becomes less active. Five minutes is a good minimum time to sit with your mandala, but longer is encouraged. When you feel ready, shift your awareness elsewhere and enjoy the deep inner equilibrium that remains. Mandalas promote mindfulness, encourage peace and tranquility in the viewer’s mind and home. Psychologists, neurologists and researchers have found that by stimulating both sides of the brain (which mandala art is doing) our thought process becomes clearer, stress reduces, blood pressure lowers and the list goes on. This happens both in the creation process and by viewing or meditating upon the piece. Patricia combines the craft of Mandala with meditation and mindfulness practices, offering an innovative and powerfully transformative experience. She is an experienced facilitator of mandala art, mindfulness and meditation workshops and retreats in Ireland and abroad. Patricia was a Senior Librarian and Arts Officer with South Dublin Libraries in Ireland for over 27 years until she changed her career in 2017 to pursue her art and meditation practice full time. She studied Visual Education and Communication at Dun Laoghaire College of Art & Design (IADT) and also holds a first class honours degree in Philosophy and Sociology from University College, Dublin where she was also awarded a post graduate scholarship. She hosts workshops and retreats both in Ireland and abroad on the Mindful Art of the Mandala & Meditation. She practices mandala and mindfulness techniques daily in her own life and holds a professional certificate in the Therapeutic Use of Mindfulness. Her first book Healing Creations: Discover your mindful self through mandala colouring and journaling (Collins Press 2016) contains forty hand drawn mandalas for you to engage with, positive quotations and wisdom from many of the world’s best thinkers plus meditation. It is available in all good bookstores in Ireland and globally on Amazon. A little of my story. In December 2012, I was not sleeping. I was stressed out, losing my temper and basically worrying all day. I was in the midst of going through massive and unexpected changes in life. I was not doing well. Through a mind blowing series of coincidences and synchronicities, I came to discover the art of mandala. To begin with it calmed me. It let me come to a realization that I could only control what was in my sphere of control and the rest I had to trust. And to be okay with that. I was unaware of the journey that mandalas would lead me on, and it was only after things had settled that I began to research and come to understand what it was that I had been intuitively doing. Mandalas started me on a massive spiritual awakening, a word that was not in my vocabulary prior to these events. The journey continues and gets more fascinating with each and every day. Mandalas hold such power, the power to calm, to heal and to connect deeply to the self yet at the same time, to something much bigger than ourselves. To shop her artwork, prints, gift items, & workshops click here. All Natural, skincare and Beauty Products Handmade To Heal. Handmade healing tools inspired by OilSage’s founder, Adrienne Erreca’s, own journey. All of the products are created by her, with love. Adrienne makes pure essential oil blends, lip balm, salves, and other all natural skin and body care products. She also sells hand selected and hand mined crystals and handmade jewelry made with healing gemstones. Adrienne Erreca is a lover of essential oils, crystals, nature, yoga, sound, and holistic healing. Her passion is intuitively crafting essential oil blends, gemstone jewelry, and custom care packages of healing tools. 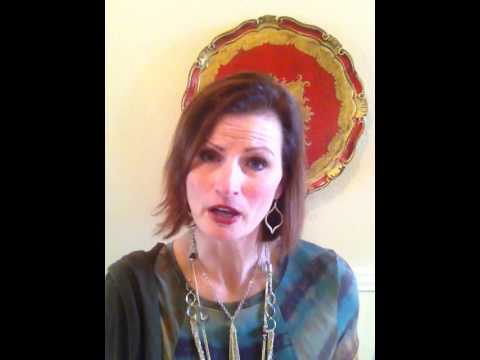 Adrienne resides in Austin, Texas and loves opportunities to share locally! Please reach out to collaborate or with pop-up opportunities. To purchase OilSage by Adrienne Erreca products click here. Rebecca Risher is the artisan and owner who creates all of the breathtaking genuine gemstone artisan crafted malas and jewelry for Rebecca Moon Designs. She is a beloved yoga and meditation teacher who is extremely knowledgeable about the metaphysical properties of precious and semi-precious gemstones. Rebecca Risher began working with gemstones and making beaded jewelry about twenty years ago, around the same time she started practicing yoga. She spent a lot of time experimenting with different techniques and learning about different stones. Not long after Rebecca began teaching yoga and meditation, she was inspired to make a mala for a friend. Like most things in her life, she began practicing until she developed her own method. Rebecca is very selective about which stones she chooses for making malas, and buys only very small quantities of each bead. This way, the malas are totally unique, and the designs are constantly evolving; she has never made two identical malas. She energetically clears the stones before working with them, and chants mantra while stringing and knotting each bead. The ritual is quite meditative and she absolutely loves creating each piece. Once a mala is complete and ready to be shipped to you, Rebecca smudges and blesses it one last time before sending it on its way. Every mala comes with it’s own pouch for storage and is packaged beautifully for gifting, as well. CHOOSE A ONE OF A KIND TREASURE FROM HER SHOP! To shop Rebecca Moon Designs click here. For more information about Rebecca, see her Service Directory listing. Sacred Keys are Reiki infused incenses, oils, and sprays that can be used to help you develop a personal energetic practice and to help you build a connection to divine guidance. Izzy Swanson, CMRM, owner of Sacred Keys, sincerely believes that it is essential to develop a daily practice of self-care that is energetically aligned with the elements and the unseen world around us. She has spent her lifetime creating a relationship with nature and the other-world. She feels compelled to create energetically aligned, natural products for people to use to maintain personal growth and healing and to build a relationship with the spirit world. Izzy takes the time to carefully select quality herbs, oils, and crystals for their specific energetic associations and then she spends time in meditation to gain deeper insight about the intended purpose of the product she is creating. She then crafts the Sacred Key with Reiki in sacred space during the phase of the moon that is most appropriate for the energy of the product. Izzy is inspired to create products for herself and based on the needs of others around her. She makes custom order incenses, oils, sprays, and even moon flower essences. If there is something you would like Izzy to make and you don’t see it in her store send her a message and she will do her best to meet your needs. Izzy Swanson is a Certified Medical Reiki Master. She is an ordained minister, attuned to the master level in Traditional Usui Reiki and Usui Holy Fire Reiki. She is also a Soul Guide, a priestess, and a teacher. As a devotee of Goddess-based spirituality for 20+ years, Izzy is an active member of the Sisterhood of Avalon and founder of The Order of the Crows, a priesthood tradition honoring the Morrigan. Izzy specializes in healing soul wounds caused by trauma, PTSD, and addiction. She frequently works with clients who have autoimmune disorders, adrenal fatigue, and other stress-related health issues. Using Reiki energy and soul healing techniques, Izzy guides and mentors her clients as they begin to rediscover lost or broken pieces of their souls. By creating calm, comfortable, and restful spaces, Izzy helps people feel safe as they engage in the deeper work of healing past wounds. She considers it her sacred task to guard and protect individuals while helping them work toward becoming whole again. As a Reiki practitioner and teacher, Izzy believes it essential to empower others to heal themselves; she provides clients and students with the necessary tools and techniques to build a daily practice of spiritual self-care. Driven by her desire to be of service to others, Izzy offers courses in Guardian Magic, the Guardian Method of Reiki Healing, and Advanced Soul Guide Training. She also facilitates drum journey circles and meditation groups. Her Sacred Keys line of natural sprays, oils, and incenses supports the energetic of this soul work. Izzy believes that with time, love, and support, our capacity for healing and transformation is truly limitless. To check out all of Sacred Keys’ products click here. To see Izzy Swanson’s Listing on The Aum Nation Service Directory click here. Silk and Glow – Natalia Slepko, B.A., Ph.D., C.A. Silk and Glow creates artisan, organic, fresh, and cruelty-free skin-care products made with highly prized oils, essences, and Aloe Vera traditionally used in skin care and healing for millennia. Silk and Glow products contain high quality, pure, natural, and organic Oils and Essences produced from plants grown in small villages and co-ops or harvested manually in the wilderness all around the globe. A lot of care and mindfulness went into the harvest, the oil production, the cooperation between producers and distributors, and into the Silk and Glow process of creating skin care formulations, mixing oils, pouring them into bottles and shipping to you. The world of small artisanal businesses is based on love for what we do and care in how we do it. And you will feel it in Silk and Glow products! Silk and Glow knows it’s not easy to buy skin products online. They know you want to sense, to touch, to smell them, and to see how they feel on the skin. For this reason, they offer small 10 ml oil samples, and 15 ml sprays with a 100% satisfaction guarantee policy. If the product is not right for you, they will return your money. These small size samples are also perfect for travel and for experimenting with different aromas. Silk and Glow loves working closely with customers to create unique products per special request, at no additional cost. Just contact them if you wish to change the intensity of an aroma, oil composition, or dream about a particular skincare product, and they will be happy to help! They offer standard $5 shipping on all orders and if you spend more than $100 the shipping is free! During several decades working as a scientist I used hundreds of different solutions, but have never experienced such a joy as when mixing pure oils. It is like playing with living sunlight of various colors, seeing the life force shining through, being deeply touched by aromas of essences, and then, seeing the beautiful, youthful glow of the skin and sensing its fantastic softness. This joy and this life force is the foundation of Silk and Glow blends. For more information or to purchase Silk and Glow products click here. The Aum Shop offers the finest handcrafted products from artisans around the world. You’ll find unique items to adorn yourself and your home. The Aum Shop’s mission is to help support the work of global artisans and their way of life by sourcing only fair trade products. When you shop fair trade you are making a positive impact across the world. 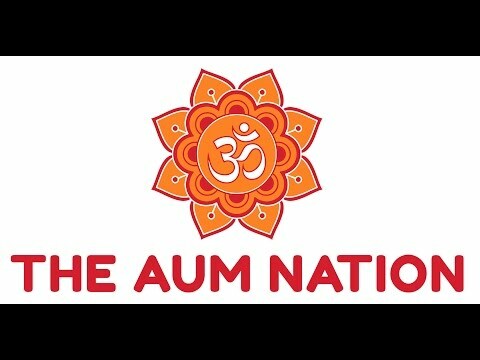 Namaste, My name is Kim Balstad and I am the founder of The Aum Nation and The Aum Shop. I had the great fortune to grow up as an Air Force brat and as a result of overseas assignments was exposed to numerous cultures and beliefs at a very young age. These travels planted the seed that germinated into my lifelong love for the varied cultures of our AUMazing world; especially their artistry and beliefs. It is this love that led me to create The Aum Shop. I believe that we are able to truly honor and celebrate the different peoples of our world through the creations of the local artisans. It is truly a joy and honor for me to bring these beautiful handcrafted works of art to The Aum Shop customers. It is because of our customer’s patronage that we are able to help support the work of these talented global artisans and help them maintain their way of life through fair trade. Click here to visit The Aum Shop. Beverly Biehl, The Intuitive Interior owner, is a Feng Shui consultant, Energy Alchemist, Creation Catalyst, and Coincidence Creator. Formerly located in Frisco, TX, she now lives in Austin, Texas. She offers services which will help transform your home or office environment into the supportive place you desire and creates products which will help you in achieving a state of balance and harmony. A proprietary blend of essential oils designed to neutralize the energy in your space, purify your intentions, re-energize you, and add joy to your life! At 2 oz, It’s a perfect travel companion and is ideal for cleansing your hotel room, bedroom, office space, or anywhere tempers flare. It’s good energy in a bottle! Joy Soak is a delicious blend of the same magical essential oils found in my unique Joy Water blend, merged with Epsom Salts, baking soda, and Himalayan Sea Salt for extra grounding. Nothing restores a body like a nice hot soak in bath with Joy Soak to pull the tension, frustration, and anxiety out of your tissues! The 8 oz. bag is designed for single use in a garden tub or 2 uses as a foot bath. It can also be mixed with organic olive or coconut oil for a overall body scrub! I’m a mom of two brilliant young adults: a high achieving daughter about to graduate from college with a 4.0 and son who has been dancing with heroin addiction since he was 16. I grew up on a pig farm in isolated Kansas, and found Feng Shui after successfully completing breast cancer treatments in 2003. I began to enhance my energy protection and learned about my healing abilities in 2008. My husband of nearly 27 years and I moved to Austin in 2016 from the Dallas area. I’m thrilled to be a part of this amazing community! Is it time to Change Your Chi? Click here to order The Intuitive Interior products. Check out The Intuitive Interior’s listing on the Service Directory. All material presented by The Aum Nation, LLC is for informational purposes only and is intended to be a service and a guide to the user. We make no recommendations or endorsements regarding types of practices or as to the qualifications or expertise of any specific practitioner. It is the individual’s responsibility to evaluate each practitioner’s qualifications and to independently choose a health care professional that they believe will satisfy their requirements and provide a regimen of treatments that will meet their needs. The Aum Nation is a free online directory and can not guarantee any products, services, trainings or events purchased from businesses listed here. The Aum Nation is not responsible for any loss or damages incurred by utilizing any of the businesses or practitioners mentioned on this website. The substantive information set forth herein is reproduced as we receive it from the individual practitioner or business, who are all independent contractors or care givers. We make no warranty as to the accuracy of the information set forth herein. Further The Aum Nation makes no warranty, expressed or implied, as to the efficacy of any diagnosis, treatment or products presented on this website. In no event are we liable for any bodily or emotional injury or negative side effects that may arise from the use of any products, or the receipt of treatments from any practitioner listed herein. 1. We believe you should always consult with an experienced practitioner or physician before embarking on a regimen of any dietary, nutritional, herbal or homeopathic supplements. 2. We believe you should always consult with an experienced practitioner or physician before embarking on any new physical fitness regimen. 3. Statements made about specific products have not been evaluated by the Federal Drug Administration (FDA). 4. The sole purpose of this website is to provide information and educational guidance. 5. By accessing this site you agree to be bound by the above terms and conditions. DISCLAIMER: The Aum Nation is a free online directory and can not guarantee any products, services, trainings or events purchased from businesses listed here. The Aum Nation is not responsible for any loss or damages incurred by utilizing any of the businesses or practitioners mentioned on this website. Copyright © 2019 The Aum Nation, LLC. All Rights Reserved.